Vivaldi Systems launched in 1984 and is still currently under operation. 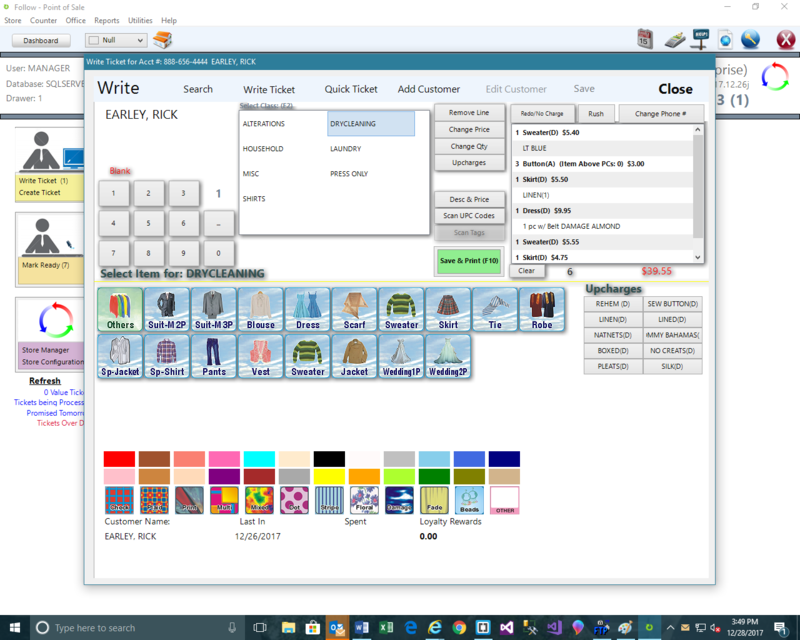 It is one of the first and oldest dry cleaning software (and primarily point of sale) companies. And because of that, we have been selling dry cleaning software Internationally for more than 25 years. Surprisingly, it has since been gradually expanding into something we’ve never dreamed of before. Nevertheless, our primary goal still stands, which is to serve users by providing easy-to-use software with practical and essential features they’ll love. •Affordable and Easy to use Dry Cleaning Software. 30 days voice support and free upgrades for the life of the store. Follow is a full Point of Sale system for your store, managing pricing, sales, printing tickets and receipts, cashdrawer manager and many many reports. This system will track customers, clothes throughout the cleaning process and give you a way to manage your store instead of the store managing you. Follow includes an integrated billing system that will allow customers tickets to be placed on account and allow you to charge or send a statement at he end of the month. This includes billing delivery customers, hotel valet accounts and wholesale accounts. Follow includes a full delivery management system that assigns customers to routes and stops, maps the routes, prints pickup reports and full delivery manifests. The System also includes automatic credit card billing and monthly accounts as well as an integrated website for customers to signup for delivery, management and pay their bills online. Follow has a simple to use menu that is dynamically changed based on the user who logs in. You have control as an owner of what screens the employees have access to as well as a system that monitors every action in the history file. 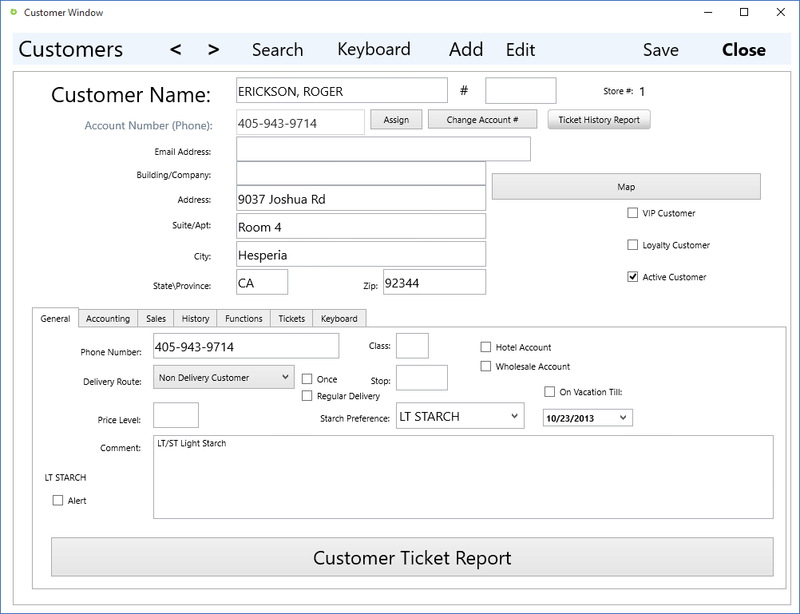 Simple to use pickup window with the flexibility of Selecting any combination of customers tickets, view what items are on the ticket, select partial ticket pickups, pay only no pickup, partial pay pickups that keep the remaining balance on the system for when the customer returns. The System includes Coupons, Discounts, loyalty system, deposits, and supports all forms of payment including a built in credit card processing. Customer management is the strength of the system. All customers are kept in the system, monitoring not only their tickets and clothes but also all the marketing information to keep a pulse on who your top and low customers are. 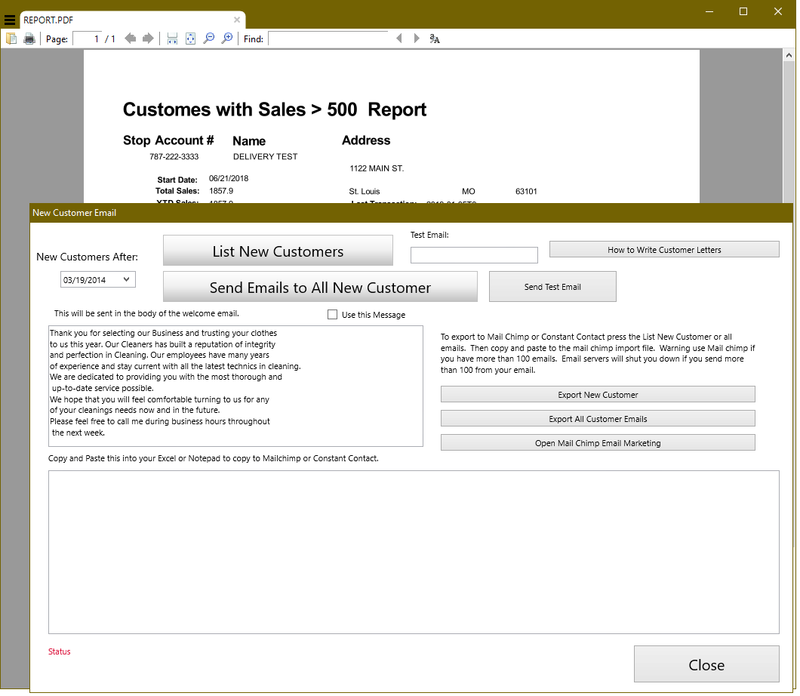 Automatic marketing emails are available to send to new customer, customers who have not visiting in awhile and even loyalty rewards automatically awared to your top customers. 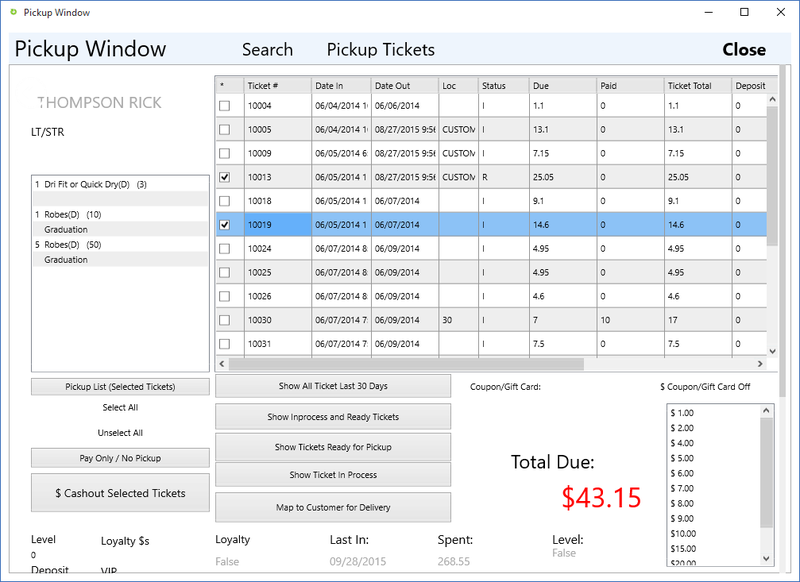 The Write Ticket window has everything on one screen to quick write tickets and print and get the customer out the door. The System includes hunders of item pictures or you can chose to use buttons. Colors and fabrics and upcharges are right on the screen allowing you the piece of mind that your counter person is pricing correctly. The Vivaldi Follow System can be accessed from anywhere. Download the App on as many Windows devices and you like and login to the store from anywhere in the world like you were right there at the counter. Customers can access their Tickets, Accounts and Delivery Schedules online using the iHomeValet.com website and Phones. Signup for Delivery Service, Pay Tickets and Accounts, Look up Prices, Management Delivery Accounts and Search for Delivery Services. Vivaldi Systems launched in 1984 and is still currently under operation. 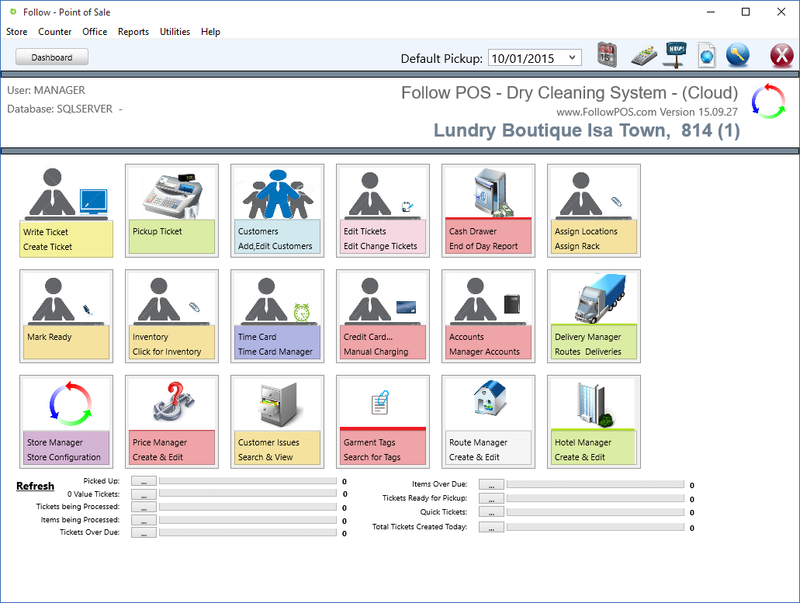 It is one of the first and oldest dry cleaning software (and primarily point of sale) companies. And because of that, we have been selling dry cleaning software Internationally for more than 25 years. Surprisingly, it has since been gradually expanding into something we’ve never dreamed of before. 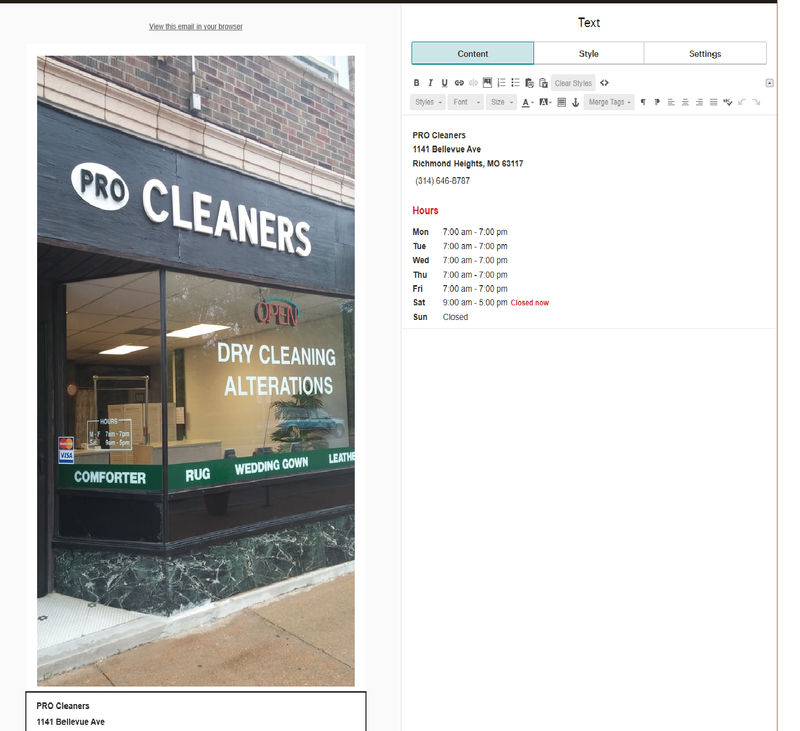 Nevertheless, our primary goal still stands, which is to serve users by providing easy-to-use software for any dry cleaning business, with practical and essential features they’ll love.